My husband, Kurt, was diagnosed with Stage 4 Lung cancer on June 25th, 2013. At that point he was given 12-18 months to live. He has undergone radiation, chemo, several different scans and we are currently under an oncologist's care. The dr just looked at the current scans and told us that Kurt is good to go for at least another 3-5 months. We are taking one day at a time, and just enjoying each other and our kids. He is feeling good and is still going to work every day. or search for Kurt's Cancer Journey. 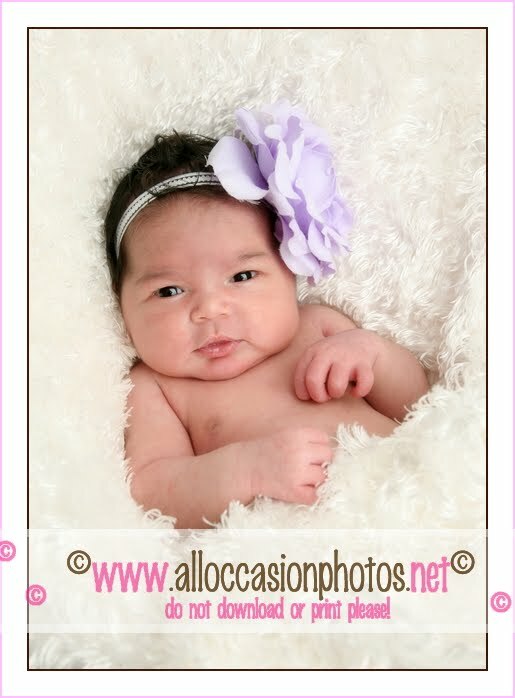 I am still taking appointments, so if you would like pictures of your kids just give me a call! We appreciate all prayers for Kurt. I have filled up yet another external hard drive and I am getting ready to clean off of my laptop of all old sessions. I am going to be achiving all of the sessions from 2005-2010 and filing them away in a safe place off site. If you had a session or sessions in 05, 06, 07, 08, 09 or 2010 I am offering you a chance to purchase the proofs from your session on DVD before they get archived. The price for your session on dvd will be 100.00. 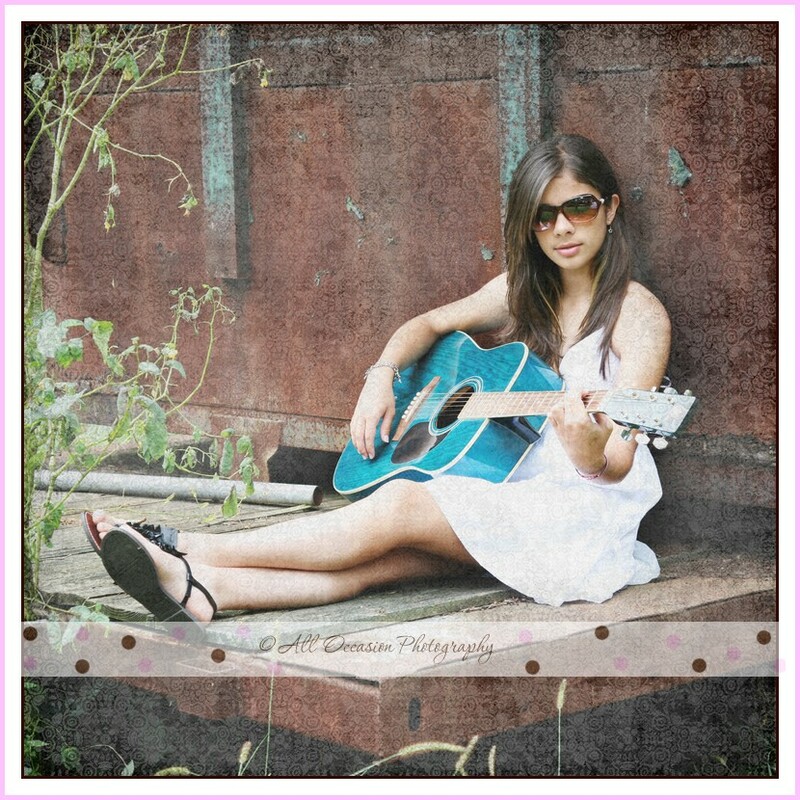 This will include the proofs from your session, but not the cards or composites. You will recieve a print release along with your DVD so that you can print them anywhere you choose. If you had mulitple sessions, then the price will be 100.00 for the first session, and 60.00 for each additional sessions. This offer is only good for portrait sessions, and not weddings. This offer is also only valid if you made a portrait order from your session. If you did not make an initial order, then you won't be eligible to purchase the DVD. This offer is only good for a limited time! Good until September 1st 2011. So let me know before then! This offer is only available until Sept 1st. After that all hard drives will be filed away. Starting July 6th I will be taking a select number of Senior portrait appointments. See my package pricing below. 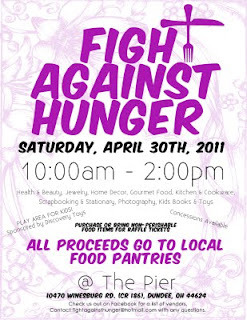 All Occasion Photography will be represented by Martha Stutzman at the Fight Against Hunger event at "The Pier" on Saturday April 30, 2011. 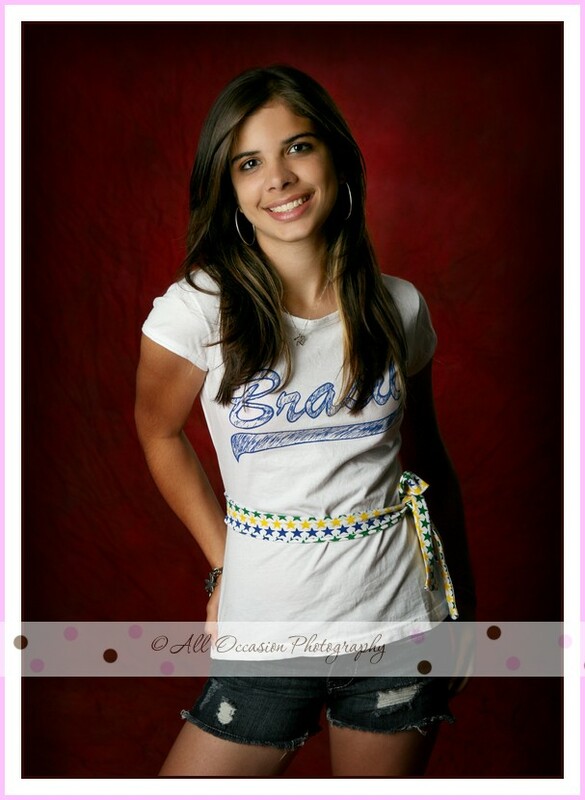 Bring a non perishable food item and you will be entered into a drawing for a framed 11x14 photo! Purchase any gift certificate and we will add 25% to the value! For example, 40.00 will get you a 50.00 certificate! 100.00 will get you a 125.00 certificate! Good towards new sessions only. 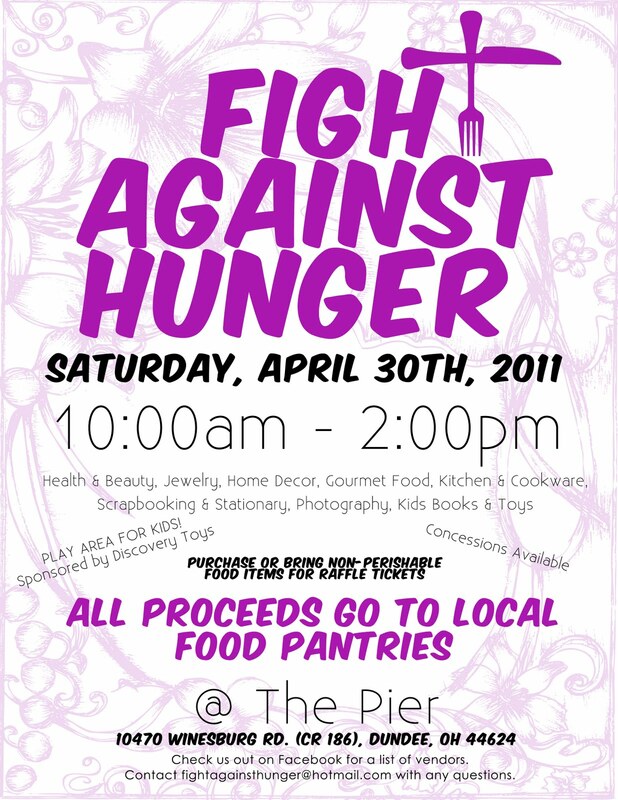 Come support the local food pantries and check out all of the vendors! Full list of vendors on Facebook. <-----click here! Easter Mini Sessions with real Bunnies! Additional prints will be available for purchase at 20% off of regular prices. About a week after your session you will have 10-20 images in your own online gallery. Your gallery will be online for 4 weeks and will include the 20% discount. You can give your gallery info to friends and family and they can order too! Once you make your order it will take about 1-2 weeks for your photos to arrive. We had such a beautiful day for the Raber's wedding. I have been neglecting my blog! I have been so busy in the studio, with shooting, and editing, and ordering, that I have been neglecting my blog. Sorry. I am a wife to one, a mother to three and an owner of four pets! I am a full time photographer, and studio owner. I enjoy photographing newborns, babies, toddlers, preschoolers and children of all ages! I am currently behind in my housework, my laundry, and my editing! Photo courtesy of Olivia Stutzman, AOP photographer. I am glad that you stopped by my blog! Feel free to leave a comment! 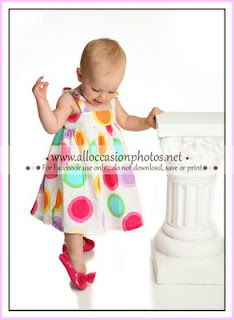 All pictures contained in the blog and on my website are property of All Occasion Photography and Martha Stutzman. Please do not print, download, or save to your computer. 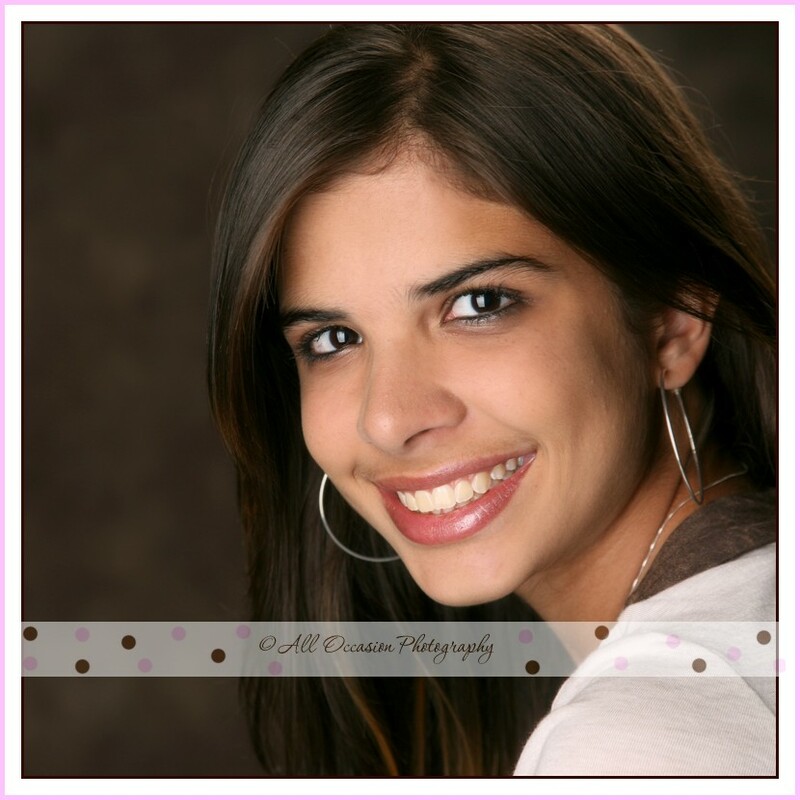 I am a photographer and the owner of All Occasion Photography in Holmesville, OH. I started my studio in April 2005, and it has continued to grow over the years. We take appointments on Mon, Tues, Thurs, Fri, and select Sat. 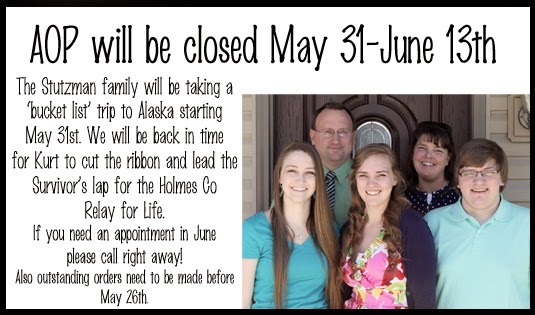 We are closed on Sunday and Wednesday.